The list might not be too long, but Android ICS was arguably the most feature-rich platform already, so major changes were hardly required. With Android easily the most popular mobile OS out there, Jelly Bean's task is to solidify its lead by polishing the user experience. The Project Butter sounds like a great start, but it's certainly not the only trick up Jelly Bean's sleeve. The revamped notification center, the updated widgets and the new natural language searches should really make a difference to end users, while the improved Android SDK and extended API support should keep developers happy. The question remains if every feature on the list work as advertised, so let's not waste any more time and start testing them out. User interface awaits you on the next page. 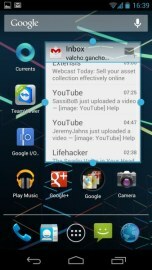 Android 4.1 Jelly Bean sticks to the foundation laid by Ice Cream Sandwich more than half a year ago. There are very few visual user interface changes, but some cool added functionality. 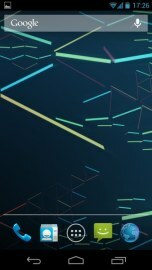 Of course, as with every previous Android release, the bootscreen animation has also been updated. 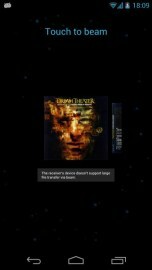 Project Butter is Google's answer to the oft-criticized Android user interface stutters and is probably the most important new feature of Android Jelly Bean. Cool animations have been an integral part of Android for quite some time now, but the problem was that they weren't always perfectly smooth. Even really powerful smartphones and tablets were guilty of the lagging occasionally and it was about time Google did something about it. In fact, Google has worked so hard on these performance optimizations that it even borrowed the services of a high-speed RED camera to record the improvements throughout the UI. To get the interface so fluid and smooth, Google has made Jelly Bean's UI run at 60 frames per second where the hardware allows it. Since software engineers didn't stop there, they also added triple buffering (CPU, GPU and display working in parallel, not waiting in turns). Finally, there's the feature called Touch responsiveness, which makes your phone anticipate and predict where your finger will be on the screen next and preloads any animations it might need to display when you start touching the screen. The result, as you saw in the video above is an interface you can safely call "smooth as butter". 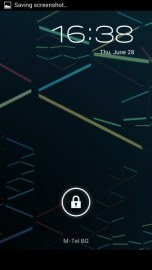 The lockscreen for example is altered and now shows a large dotted circle around the center-placed unlock button. You still the two familiar shortcuts - move the unlock button to the left for camera, and right for unlock. There's a new, third icon above them for jumping to Google Voice Search. 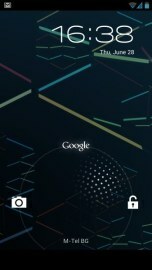 We still feel Google isn't utilizing the lockscreen to its fullest, though. A small weather widget would've come in handy, or even a short calendar snippet showing the upcoming appointments. We've seen those in some of the custom launchers, but it would be great if they were backed into the OS itself. One of the best bits about Jelly Bean is its revamped notification center. It features a redesigned clock and date icons on the top left followed by a larger settings icon. The clear notifications icon has also been refreshed and it looks much sharper now. The updates here don't end with the looks, either. Select app notifications have gotten really smart, not only delivering you the notification, but also providing you with several options for interaction. For example, you can snooze a reminder for an upcoming meeting or email its guests right from the notification area. This is quite convenient, saving you a few seconds from the time you'd normally spend tapping your way through the app to get the same thing done. Next, you can answer or hang up a call right from the notification blind. Yes, this feature was present in previous Android releases too, but now it's icons have been redesigned don't feel out of place. Finally, starting with Jelly Bean, you can view photos shared with you on Google+ or even read your incoming messages without even having to enter the Messaging app. 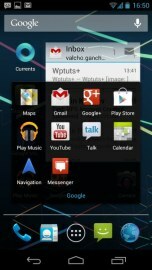 Ice Cream Sandwich introduced resizable widgets, and they have been further improved in Android 4.1 Jelly Bean. 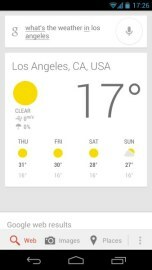 With the latest release of the Google OS widgets will automatically adjust their size to fit on the screen where you'd want to put. This means that if you place a widget in an icon-congested screen, the widget will contract to fit in whatever gap is available for it. Also, if you drag one widget on top of the other, it will make space for itself by forcing the icons underneath to rearrange. Google Now is definitely one of the most interesting of the Jelly Bean novelties. To put it simply, it's Google's version of Siri, but it learns constantly about you from your daily routines. 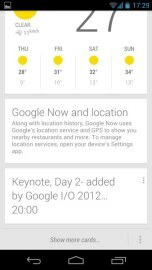 The weather sites you look at, the news and videos you watch in the morning and the routes and calendar appointments you create daily - Google Now uses them to give you provide better, more accurate results to your searches. The service interacts with you by generating cards, which gives you short overview of information it believes is relevant to you right now. Going to work in the morning? Google Now knows this and lets you know there's a big traffic jam on your usual way to the office, so it offers you a re-route. Naturally, search is where Google excels. And with its enhanced looks and heavily updated Voice search, it gives Siri a run for its money. Now you can ask Google everything you want to know in natural human language. "What's the tallest building in the world?" would bring you a cool looking card carrying the answer and an photo of Burj Khalifa. 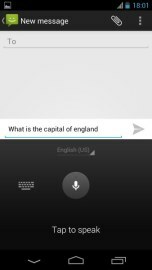 To top things off, Google's Voice Search assistant will read the answer to you, so you don't even need to look at the screen. It's not witchcraft this Google Voice Search. It utilizes the company's Knowledge Graph to gather the snippets of information needed to give you a satisfying answer. That's certainly bringing us a step closer to a more advanced virtual personal assistants, but just like the competition, Google's assistant need to go a long way before it becomes useful for daily tasks. 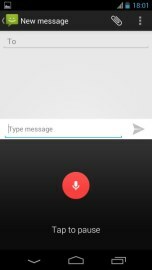 Voice typing now works offline. To make it happen, Google has baked the voice recognition algorithms needed to make it run into Android itself. Not only does this make Voice typing faster, but also eliminates the need for internet connection. With Jelly Bean, the Android keyboard's nuts and bolts got updated as well. It now features smarter dictionary algorithms and the more you write, the better it can predict your words as it's learning algorithms let it unveil its full potential. So for example if frequently write "I am going home, see you in 15 minutes", the dictionary will be able to predict words and phrases like "home" and "15 minutes". It resembles Swiftkey's smart dictionary system, but only time will tell if it performs as well. The Android Beam service which came along with Android ICS allowed users to share small bits of information through NFC. 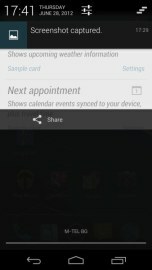 Contacts, links, calendar events and addresses could be shared via NFC, but now Jelly Bean brings support for even more content. By leveraging on the Bluetooth connectivity, which virtually every Android smartphone has, Jelly Bean allows you to share photos and videos with a simple NFC-enabled tap. You can even use Android Beam to pair with Bluetooth devices (via NFC) like speakers, headsets and other gadgets. After spending a day with it, we feel Jelly Bean is exactly what its version number suggests - a significant update to ICS, but by far not the largest one Android has seen. Jelly Bean smooths things up, cleans up a lot of bugs, brings a bit of cool new functionality here and there, but doesn't make you scratch your head and feel lost. 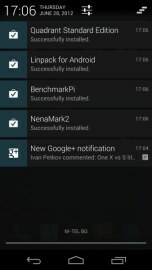 It's enough to make the ICS users happy with the update, without giving JB owners too many boasting rights. 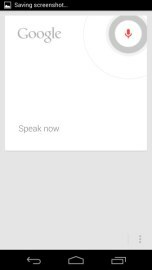 Google's Voice search and Now service look cool for now, but have yet to prove themselves as the useful companions Google says they are. We are far from convinced that those virtual assistants are worth the effort going into their development, but with all the big players so keen to invest in them, there might be something about them after all. More importantly, Jelly Bean finally gives Android the smooth feeling of its rivaling platforms. Even on moderately powerful hardware such as the one on the Samsung Galaxy Nexus, Android now has much smoother and faster animations and a bit more fluid navigation. In a way Google felt so comfortable about Android's lead in functionality that it thought, it might ease off the gas a bit and focus on optimizations for a while. With the platform pretty mature as it is, now seems like as good a time as any to fix those remaining performance issues. The only thing seemingly missing now is a cure for the fragmentation issue, which is still keeping some developers away from the platform. A little over than 9 months ago, Google unveiled Ice Cream Sandwich and now as it's successor came to live Android 4.0 is powering just over 7% percent of all Android devices out there. We'll now probably be treated to several months of rumors and contradicting statements from Google's partners before any updates actually make it to the market. We are still hoping, though that the step from ICS to Jelly Bean will be an easier one to make and Android 4.1 won't share the fate of its predecessor - becoming obsolete before even becoming the second most popular Android release.